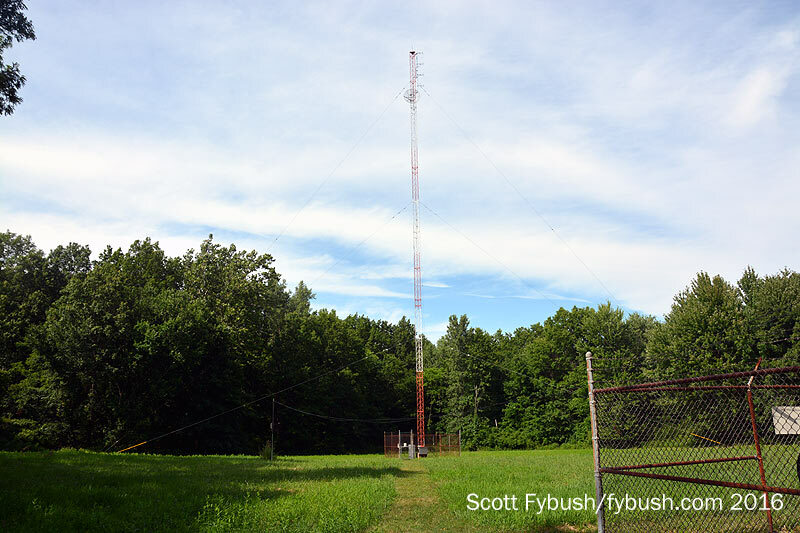 When you’ve spent 26 summers driving back and forth across northern Ohio, as we have, it’s hard to believe that there are still towers and stations still unseen – and yet, remarkably, there are still some big chunks of northern Ohio we’ve still never managed to make a detour to visit. But as 2016 draws to a close, we can at least say that we’ve started to make a dent in that list here and there. One of the most glaring entries on our “kept driving by without stopping” list has been Lorain County, just west of Cleveland. 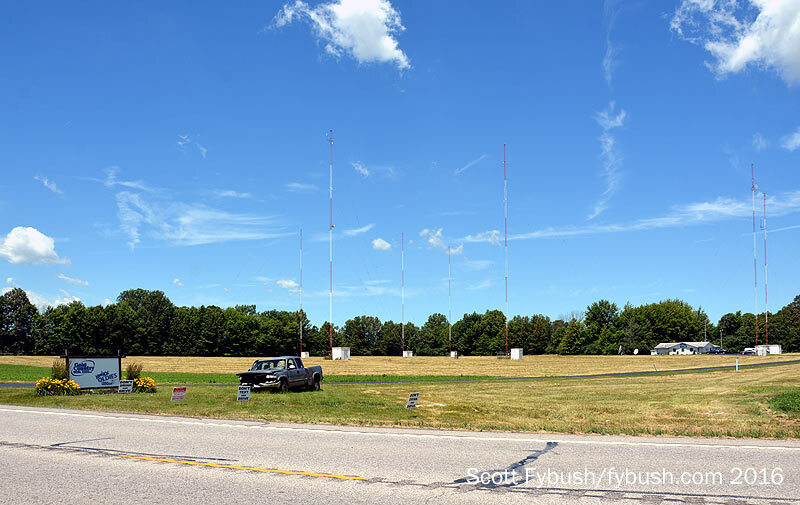 The end of the West Virginia/Ohio trip we’ve been chronicling the last two weeks brought us back north by way of the southwesternmost of those Lorain County sites, the seven-tower array of WOBL (1320 Oberlin) on US 20, just east of Ohio 58. 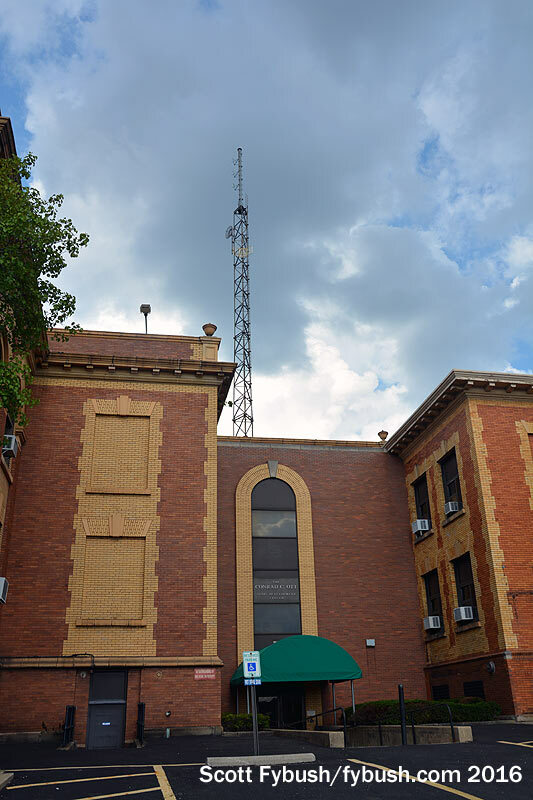 In addition to being the studio and transmitter site for WOBL and its classic country format, this is also the studio for oldies WDLW (1380 Lorain), and we’ll catch up with it in a moment. 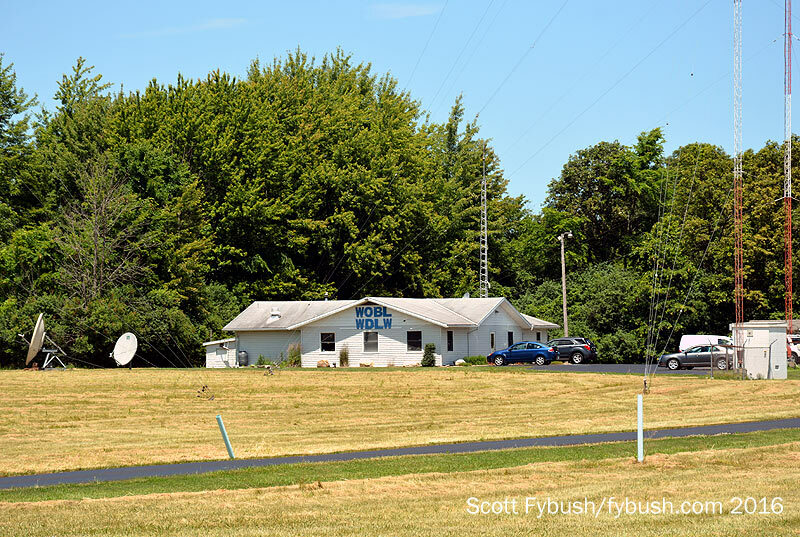 WOBL’s more established competition in Lorain County makes its transmitter home a few miles east, near Grafton, Ohio. WEOL (930 Elyria) signed on in 1948, along with an FM sister at 107.3 that was later known as WBEA and today as smooth jazz WNWV. 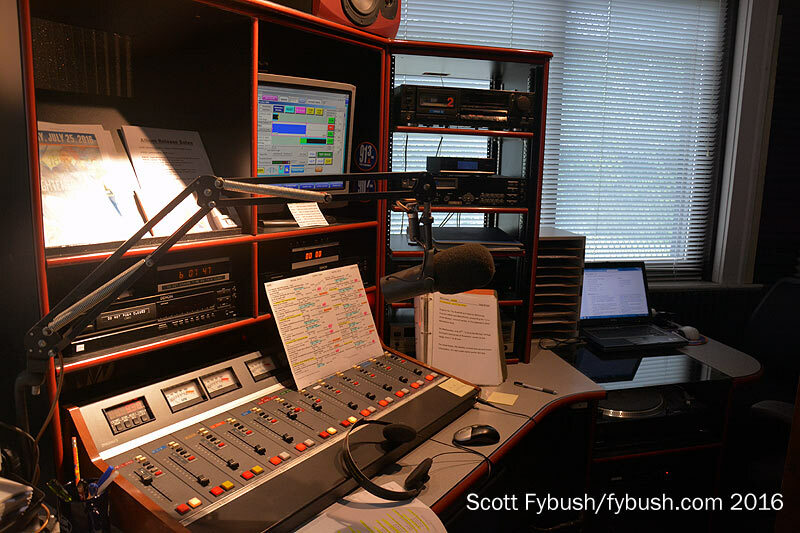 While the FM has changed owners (now part of the Akron-based Rubber City Radio Group), the AM remains in the hands of the Elyria Chronicle-Telegram, doing a news-talk format. 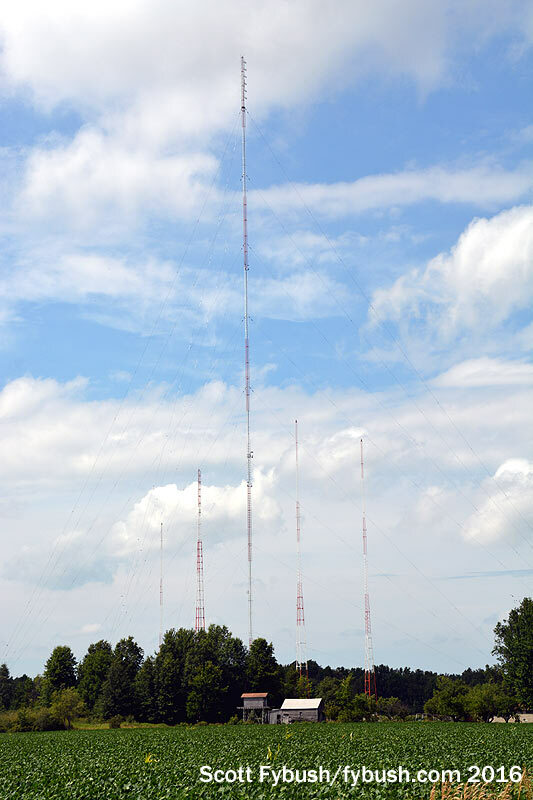 The stations continue to share the Grafton transmitter site, where WEOL uses the four original AM towers with 1000 watts day and night, while WNWV has the newer tall tower in the middle. 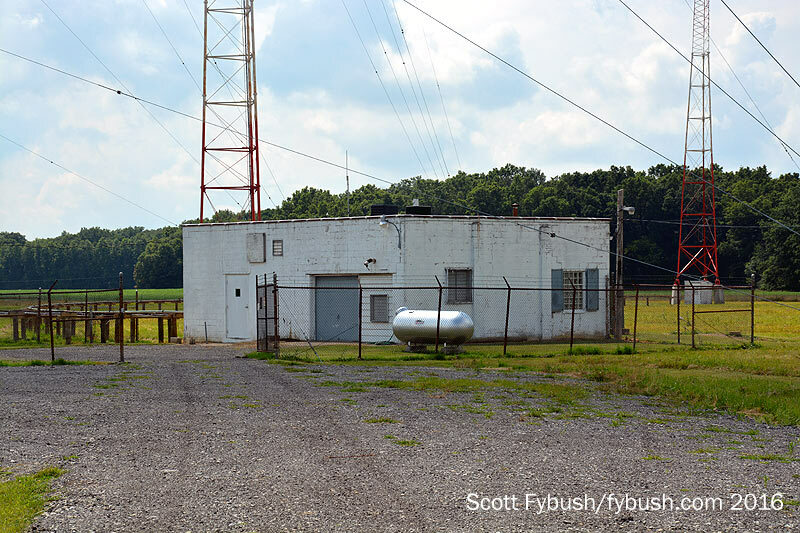 Our trip westward to Indiana this particular August took us not only past WEOL/WNWV but also up to WDLW (1380 Lorain), where we found engineer Tracey Liston on site at the transmitter plant in Sheffield, just north of the I-80/I-90 merge. This 500-watter started in 1958 as WWIZ, lost its license a decade later, then returned in 1969 as WLRO. It recently added a translator on 98.9, and that’s what Tracey was tweaking when we stopped by. “The Summit” occupies one corner of the first floor of the building, adjacent to a magnificent wood-paneled library/atrium; there are two rooms of offices, one of them adjoining the building’s studio core. 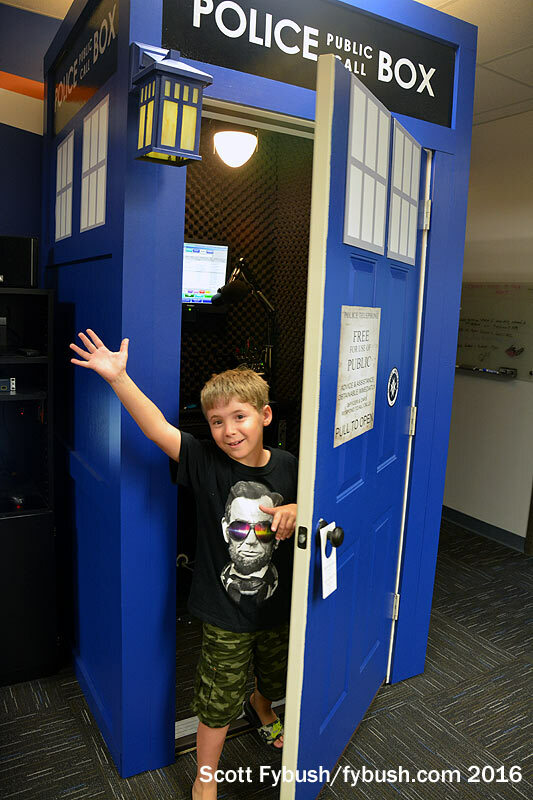 The main air studio is at one end of the line of the studios – and just outside that is a voicebooth that’s disguised as Doctor Who’s TARDIS, much to the amusement of the Fybush kids. 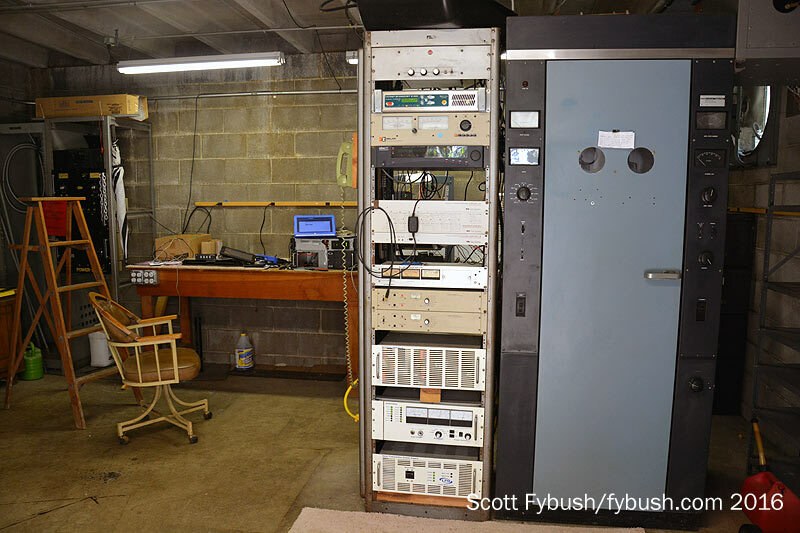 To the left of the TARDIS is a small rack where the Summit gang can program the automation system and handle the switch-offs to simulcast WKTL (90.7 Struthers) over in the Youngstown market. 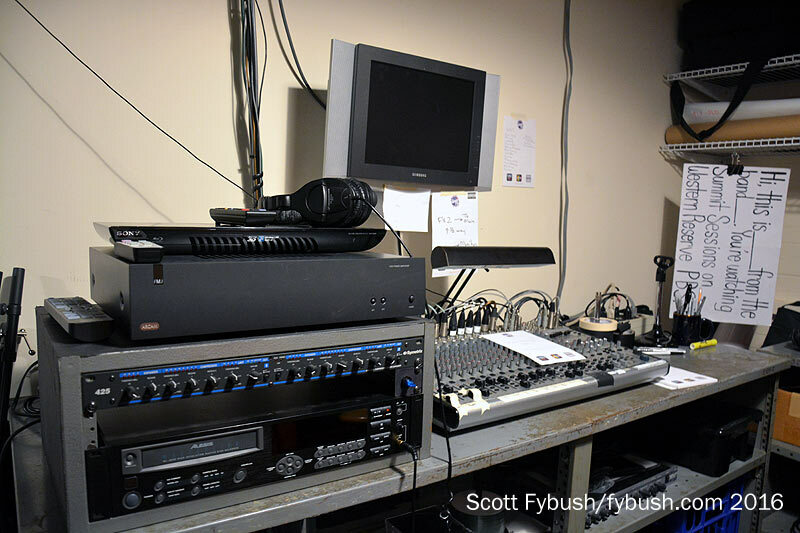 Two more studios are around the corner, along with the rack room. 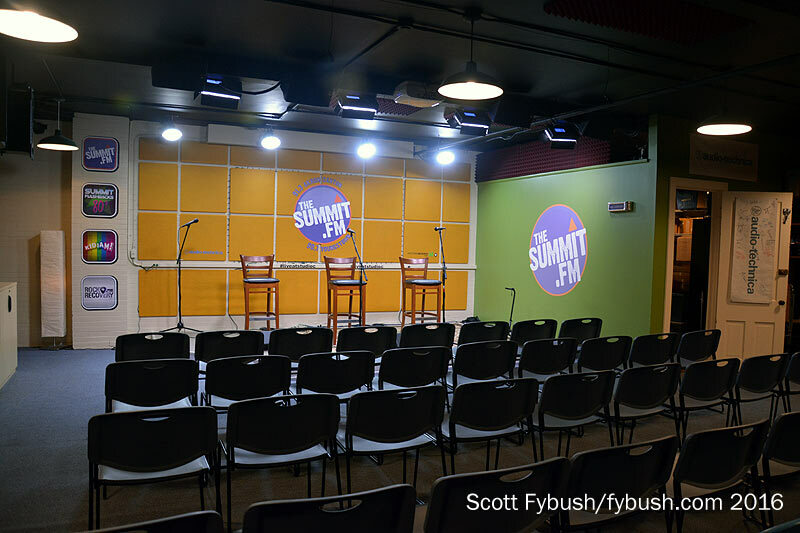 Any good AAA station does a lot of live music, and the Summit is no exception. 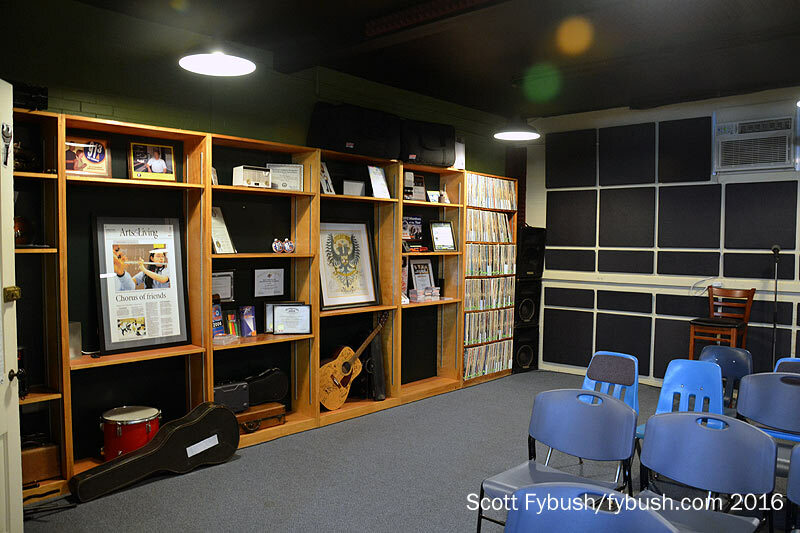 Downstairs, in the tile-walled basement, a former utility room is now a cozy performance studio where local and national artists make regular appearances, often with video coverage from Western Reserve PBS, the local public television station. 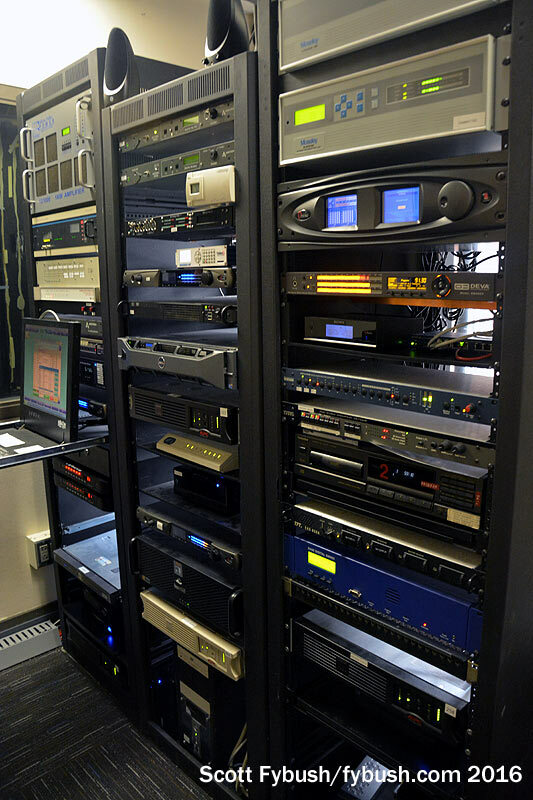 “Studio C” features gear from sponsor Audio-Technica, and the performances recorded here show up not only on WAPS’ main channel but also on its three distinctive HD subchannels: local music on “The 330,” “KIDJAM! 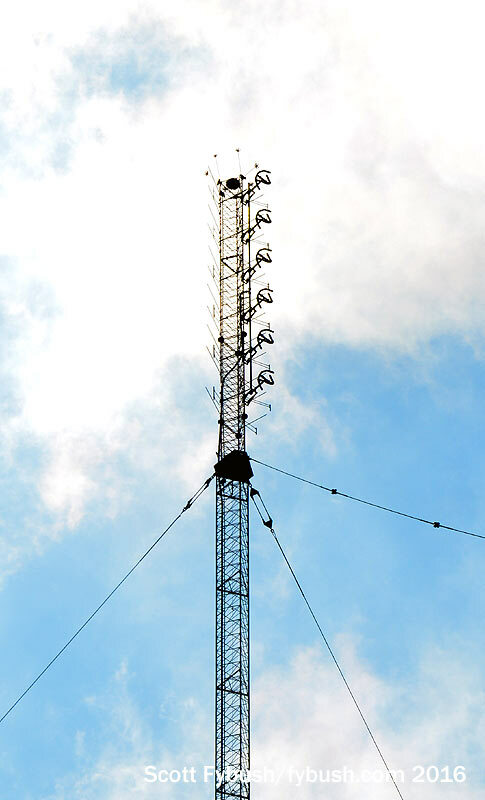 Radio” on HD3 and “Rock & Recovery” on HD4. 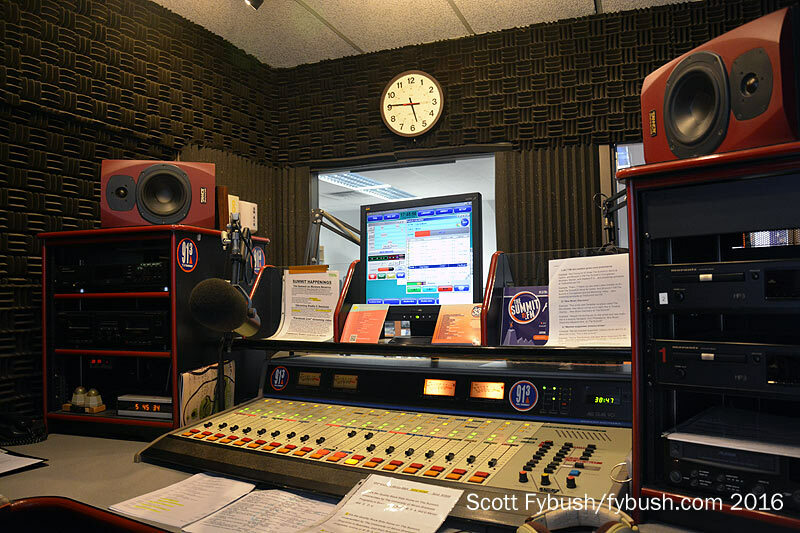 Thanks to WDLW/WOBL’s Tracey Liston and WAPS’ Brad Savage for the tours!